Credit Cards offer a world of convenience whether you are a student or a professional and whether one is India or is travelling abroad. However, for someone travelling abroad, the requirements may be different then what would generally be required when staying within the country. Also, each card has different features so all cards might not be suitable for using abroad. So if one is a student going abroad then how do you choose the right card for yourself? How is Using Your Credit Card Abroad Different? The first thing obviously is a different currency. Depending on the country you are travelling and the currency being used there, your credit limit would automatically be enhanced or reduced when you travel. All currencies do not have the same exchange ratio, so if you travel to Europe remember that the current Euro to INR rate is I Euro = 76 INR so your credit limit will be reduced in that ratio. Before choosing a credit card do compare credit cards as per the available credit limit so that you can choose one as per your requirements in the country you will be visiting. 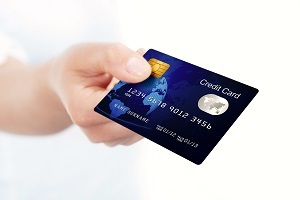 Then another difference is the various charges that may be levied by a credit issuer for using the card abroad. These charges are a significant factor when making a choice as for a student travelling abroad these could prove to be a huge burden as obviously there will be multiple transactions and paying a hefty fee/transaction could prove to be very expensive. When choosing a card for travelling abroad make keep the following factors in mind so that you can choose the best card as per your requirements. As we said in the above paragraph there are various types of fees applicable when credit cards are used abroad. These fees include the foreign currency conversion fee which may range between 1 to 2 % depending on the card issuer’s policy. The major portion is charged by VISA or MasterCard and a small portion is kept by the bank. Another charge is the foreign transaction fee which could be around 2.5% to 3.5. Then there is the cash advance fee, within the country also cash advances are expensive, when doing so abroad you have to pay 1% to 4% extra! When you apply for credit card make sure you check about all these charges. Another aspect that requires focus is the card’s acceptance in the country you are travelling to. All cards might not be accepted everywhere, this could be due to a difference in the technology used or some other reason. One does not want to be stuck in foreign country with a card which offers no customer care or sloppy after sales services. Problems could range from a lost card, to card not being accepted, to emergency cash requirements and so on. It is important that the card issuer has a mechanism in place to take care of their customers abroad and offers them a speedy and effective solution. Any credit card whether used in India or abroad requires paying promptly on time every month. Usually for a student credit card a parent may be paying the credit card bills, whether the student pays or a parent makes the payment, make sure the process is hassle free else late or missed payments could impact CIBIL score, attract fines and hamper credit card usage. Keeping in mind a large number of students travelling abroad and their special requirements, many banks has come out with credit cards especially suited for students travelling abroad. Some of them are discussed below. HDFC Regalia Credit Card: The card offers a low foreign currency fee of 2% and also complimentary airport lounge access. SBI Student Plus Advantage Card: This card is issued to those students who have taken an education loan for abroad from SBI or against a deposit at SBI. ICICI Bank Student Travel Card: This card gives a free membership of ISIC (International Student Identity Card) which can be used as an internationally accepted ID Proof and also allows one to use various discounts. Choosing the right credit card as per your requirements is paramount if one wants to enjoy full benefits of using a credit card without any hassle so make sure you make the right choice. Kindly note that Moneyexcel.com is not associated with Credit Sudhaar. This post is for information purposes only. This is a guest post and NOT a sponsored one. We have not received any monetary benefit for publishing this article.